Here are 6 reasons you need to visit Boracay at least once in your lifetime. 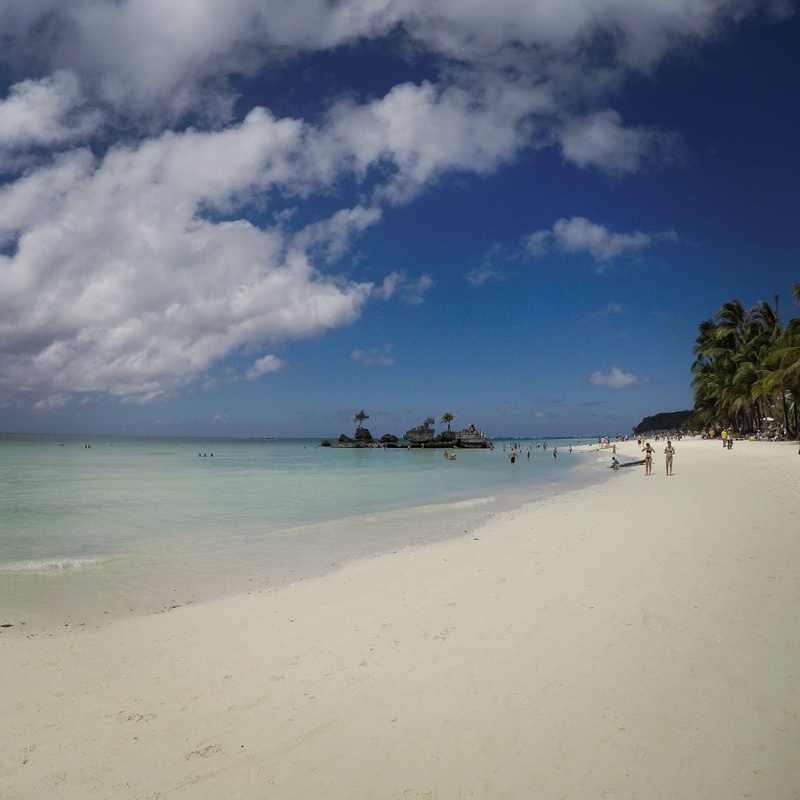 Pristine white sand and azure blue skies are all you need at the pulse of Boracay. This 4 km stretch is divided into three “stations”: luxurious Station 1 caters to the high-end tourists, bustling Station 2 is packed with cheap accommodations and shops while the quieter Station 3 is best for those who seek a little downtime.There’s also the iconic Willy’s Rock at Station 1, a unique rock formation that offers a commanding view of strip. The mantra here is swim, eat, shop and repeat so don’t hold yourself back when in White Beach. 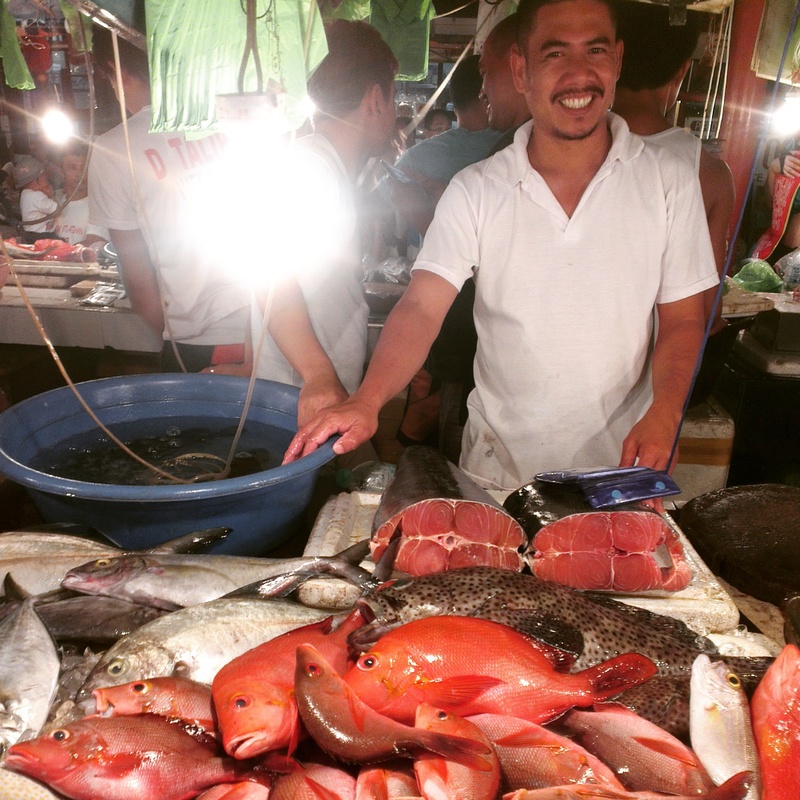 Skip all the overpriced seafood restaurants along White Beach and head out to D’Talipapa at Station 2 for some fresh seafood. The only catch is you have to shop for your own deep water delicacies before proceeding to any one of the cooking houses where they would cook your meal to your liking. Bargaining is a must so this is the perfect time for you to test out your negotiation skills since most of the sea creatures are quoted at a higher price. After much haggling, we managed to get our catch at 40 – 50% cheaper than the quoted price while the cooking price is more or less fixed. 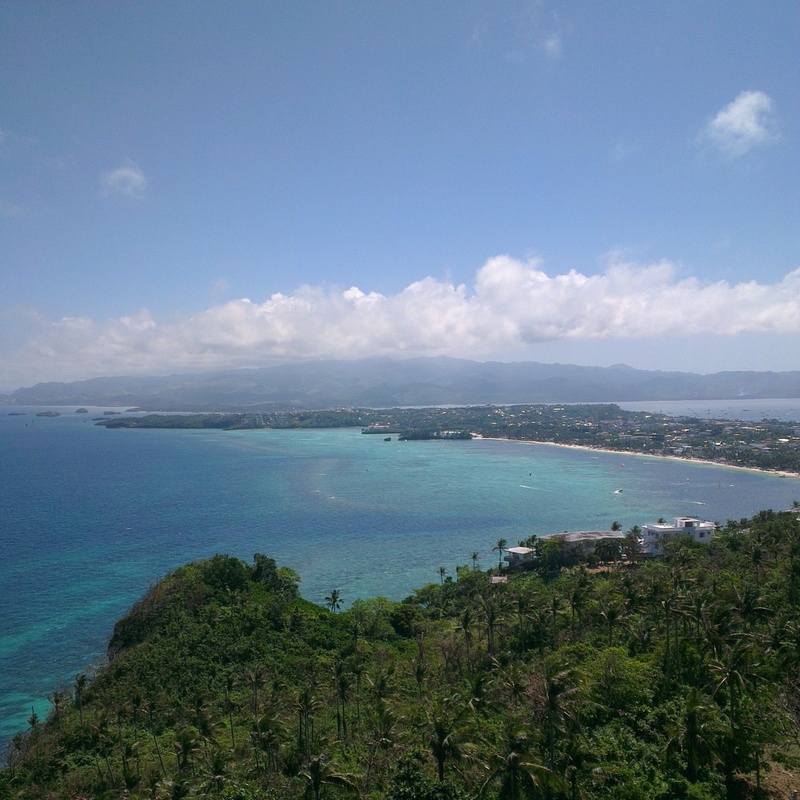 Dramatic landscapes await at Mount Luho, the highest peak of Boracay. A 15 minute ride from Station 1 to the top of the hill took us to an observation deck with a 360 view of the island and beyond. After paying an entrance fee of ₱120 per person, feast your eyes on the breathtaking scenery of the archipelago. Spot the kite-surfers at the adjacent Bulabog Beach, peruse the different shades of blue of the Sibuyan Sea and check out the towering windmills on the mountains on the neighboring Panay Island. A visit to the isles is never complete without feasting on its fruity desserts. 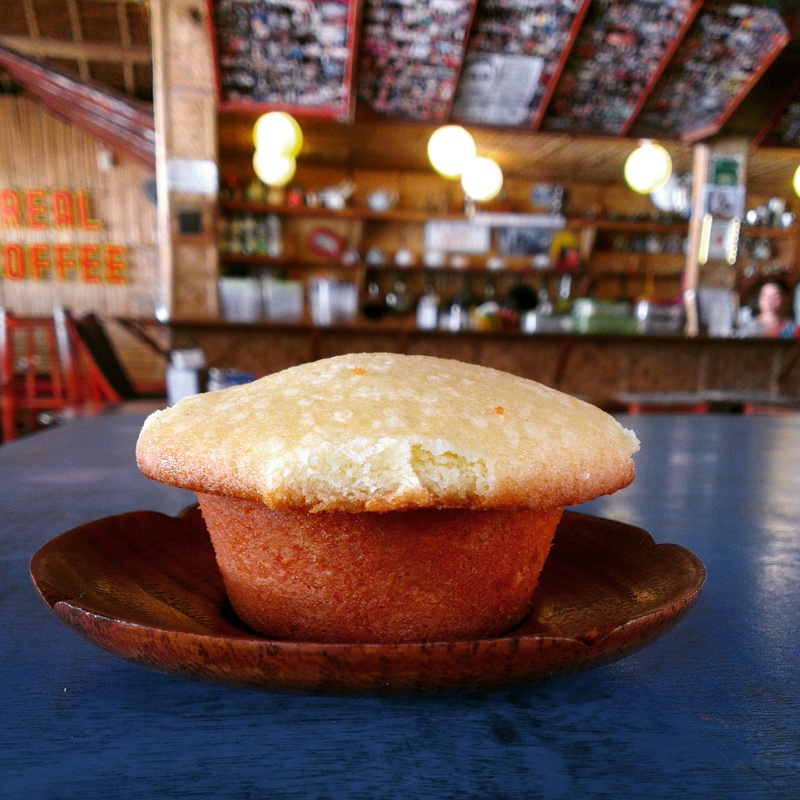 My wife, who had lived in the Philippines when she was small, drew first blood by introducing the tangy Calamansi Muffin to the crew before cooling down with a bottle of Jonah’s Fruitshake, a blend of sweet local mangoes and zesty lemon. For breakfast, take on Sunny Side Cafes’ humongous pancakes where you really need two people to finish off the job. Forgo the omelets and do the right thing by ordering a plate of Filipina Mango with Chantilly Cream Cheese Pancake to fuel your day. Fortune favors the bold. And the bold are the ones who dare take the plunge off the cliffs of Magic Island. 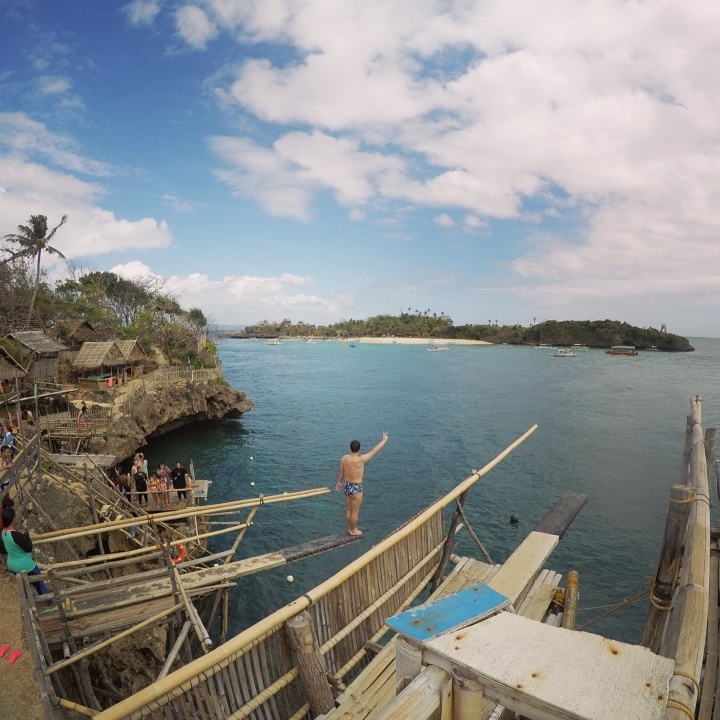 Located south of Boracay, Magic Island is a private island beautifully landscaped with bamboo huts and multiple platforms for cliff diving. Entrance costs ₱150 per person and you can walk the plank and jump as much as you want. The relatively calm sea and deep waters are suitable for dives as low as 3m (10ft) and as high as 10m (30ft) which you can never find in any other beach or island paradises in the region. Believe the hype. 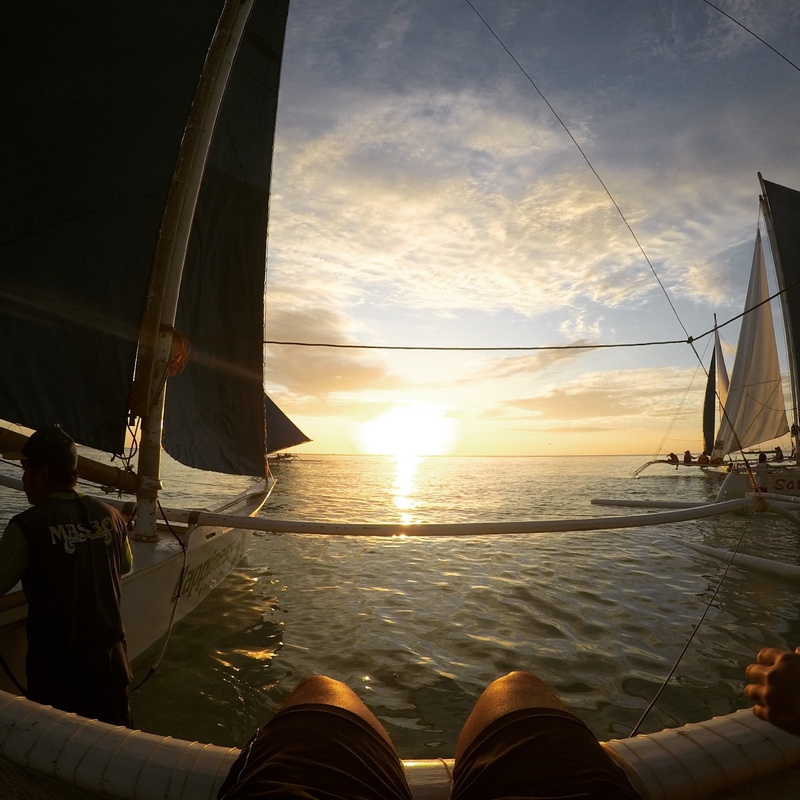 Boracay, hands-down, has the best sunset in all of South East Asia. The most memorable way to enjoy it is by hiring a manually maneuvered sailboat on White Beach and make your way to World’s End (sorry for the Pirates of the Caribbean reference, that was my first thought when I got on the sailboat). The best time to start sailing is about 30 minutes before sunset as it was enough time for peace and tranquility to shroud us as we witness the sun slipping away from the horizon to usher in the night. It truly is a moment of zen. Filipinos know how to live life to the fullest and fun seems to be their #1 cultural export to the world. I’ve been to quite a number of island destinations and I have to give credit to Boracay for providing every imaginable activity to suit every visitors’ needs. There is much more to explore beyond Boracay as this tiny island in the Aklan Province has given me the right tonic to set out and have more fun in the Philippines. The flight from Kuala Lumpur, Malaysia to Kalibo takes about 3 hours 45 minutes followed by a 1 hour 30 minutes bus ride to the jetty at Caticlan. A 10-minute ferry across the straits will land you at Boracay and a cab will take you to your intended destination. You can either wing it or book your transfers online: so far Southwest Tours offers the most reasonable prices. Also take note of the terminal fee of ₱200 (return) and environmental fee of ₱75 (one-off) to be paid at the ports. Thanks to my ever industrious friend Botak, we managed to find the best prices for our activities. Get in touch with Nonoy (Tel: +6309393771459) for island hopping and Jojo (Tel: +6309205616056) for sailing. Please double check for additional fees because these middle-man would sometimes fail to mention registration fees imposed by the operators. For Muslim travelers, acquiring halal food can be tricky but there some halal eateries on the island. The Kingdom on Station 2 serves Arabic cuisine while the newly opened Jannah at Station 1 has Middle Eastern, Malaysian and Indonesian cuisine. If you feel adventurous, check out the other Talipapa at Station 3 as the traders there are mainly Muslim and could point you to the nearest local halal eatery. Wow! Looks like you had an amazing time!! 🙂 Awesome tips and photos!! Hopefully the change will be for the better but it’s still a top destination with Koreans! It is gorgeous! Personally one of my top island vacations so far.